We are pleased to announce two new stunning portfolios of images from Photographer’s Showcase artist Hans Bol -- Paradise City - Landscape/Human Interaction & Dynamic Surfaces. The Carrara region of Tuscany, Italy is long famous for the marble that bears its name. Its quarries have been active for centuries, and out of its stone mountains have come the building blocks for great pieces of art and architecture: the Pantheon, Trajan’s Column, Michelangelo's David, Duomo di Siena, Sheikh Zayed Mosque. Hans Bol’s initial interest in marble started as a challenge — a masterful photographic printer, Bol wanted to attempt to capture the subtle hue of the marble’s surface in a photograph. “I wanted to master the reproduction of these tones in print; the whites should not be white because then they would be invisible, but also they couldn't be too grey because then they wouldn't be read as white. In addition, the difference between shadows and highlights in terms of f-stops was substantial - another obstruction to conquer. First I went to graveyards in the Netherlands, but did not find much. So I decided to go to Italian graveyards, for example in Genova and Florence. 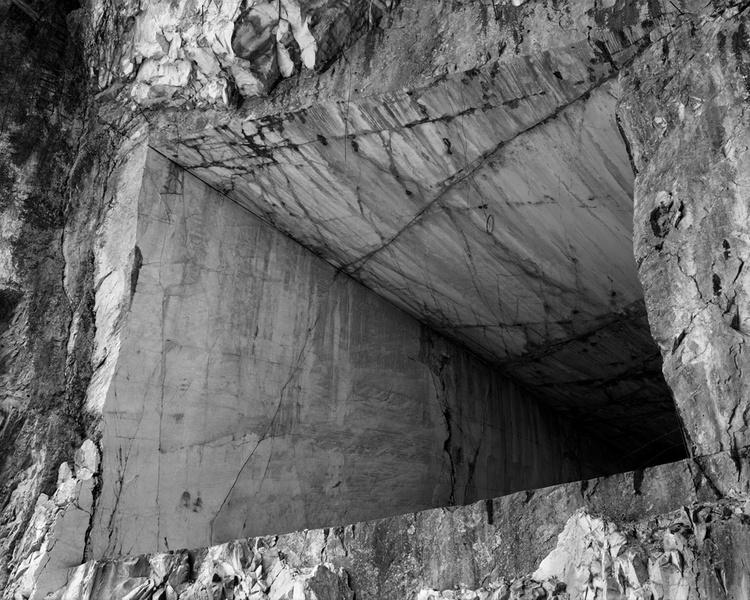 Rich places in terms of marble.” Bol’s fascination with marble eventually lead him to Carrara; two decades later, he has released a book and series of images of his exploration of the region. Split into two portfolios, Paradise City Dynamic Surfaces and Landscape/Human Interaction give a glimpse of the breadth of Bol’s investigation into Carrara, from expansive panoramic mountain views to delicate studies of the stone itself. The completeness of his photographic documentation is astonishing, thoroughly exploring the quarries and experimenting with camera formats along the way to find the best methods to capture the multifaceted beauty of the area and to get to know it, to understand the history and complexity of the landscape. 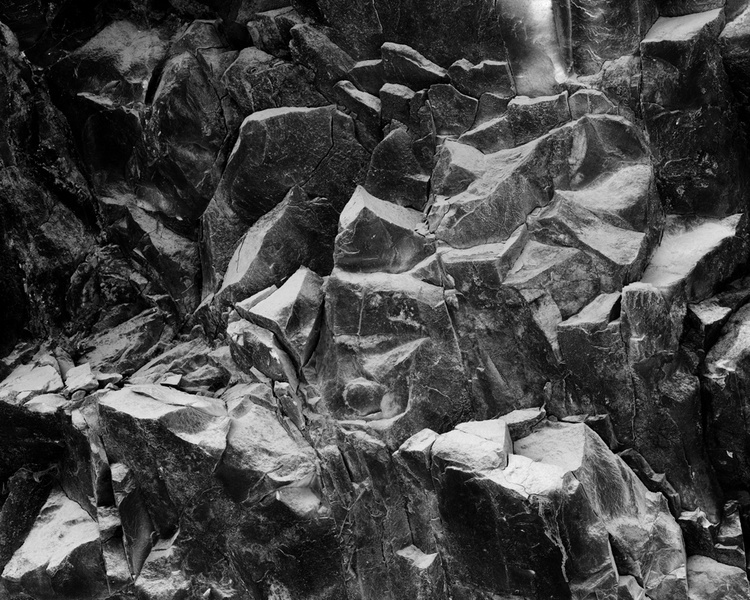 The resulting vast series of images are a testament to Bol’s craftsmanship, dedication and vision, a thoughtful and involved series that grows in depth and fascination the more one explores it — perhaps not unlike Bol’s experience with Carrara itself. Images from Paradise City have also been released in a beautiful book from Hans Bol's Recto Verso imprint. Selected as one of the 'Best Dutch Book Designs of 2011,' it is available in both a trade and limited edition. Find more information here. Read the photo-eye Blog interview with Hans Bol on Paradise City here.